Since opening last month, Piquancy has treated diners to an array of flavours with their street food, brunch and pot food menus. In keeping with the theme of an unusual name for an unusual restaurant, diners can find a selection of beautiful and delicious cocktails to accompany their meal. Cocktail lovers can expect the likes of the Lady Love, with fresh strawberries, Bailey’s, cream and strawberry liquor. The Millionaire’s Club (pictured above left) is a colourful delight, with spiced rum, gin, apricot brandy, pomegranate and freshly squeezed lime and spices. The Mango Smoothie (pictured above right) is a citrus delight and the Passion Fruit Mojito is an Indian twist on a classic. Piquancy, meaning a pleasantly sharp appetising flavour, delivers just this with its carefully created cocktail and food menu. The alcoholic treats can be enjoyed with the likes of the tangy, spicy and sweet Pani Puri – fried pastry balls filled with mashed potatoes and chick peas, filled with a delicious sauce, or the Chloe Tikki (pictured above) – chickpea croquettes with ginger, avocado salsa and roasted tomato sauce, or the Anjeer ke Kofte – fig, pomegranate and cashew dumpling curry. 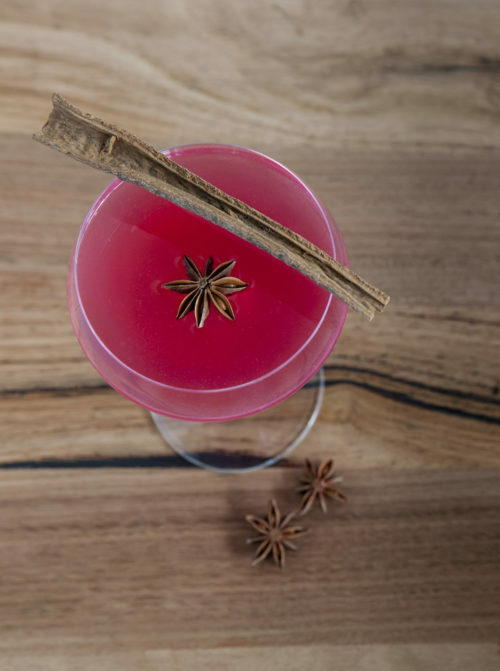 The cocktails have been created by resident mixologist Chandra Tomar, previously of Langham’s Aria Bar and P&O Cruises. Expect delightful and delectable creations as well as all the classics.